Imagine receiving an offer to study at the leading university in Australia. You’ve worked hard for this and you know you deserve it. The future is looking very promising... But you have barely five minutes of joy, before reality strikes: How can I possibly afford to pay for my education? Every year I see talented students coming into the University, whether for their first degree or higher graduate study, and I know that for some of them the journey will not be easy. Due to costs associated with housing, transport, textbooks and daily expenses, some of our students from low socio-economic and rural backgrounds experience the risk of discontinuing their studies. For these students the support you give through scholarships provides a lifeline that keeps them on course. It not only gives them access to a world-class education – it’s the catalyst that opens doors to an exciting world of opportunities. I need your help to ensure these bright minds are not forced to abandon their studies due to financial difficulty. Your gift today to the Faculty of Architecture, Building and Planning Scholarships will make a big difference in the life of a student. Kate Sarkodee was a mature student who received a scholarship while completing her Master of Architecture degree. During her study, she gave birth to her two daughters, three years apart, which impacted not only on her time and concentration but also on her financial capacity. It’s not easy. Meeting child care fees while paying for study expenses can be tough, and the everyday juggle to stretch tight personal resources can be brutal. But Kate is passionate about completing her degree. At a time when women are under-represented in senior leadership roles in architecture, it’s important that we support our female students. We need mums studying architecture. We have a different experience of the built environment that enriches class discussions and design collaborations. We keep it real in the classroom, reminding others that good architecture benefits people of all ages. It’s been a wild ride. It’s hard to study architecture with babies. There are the long days caring for small children and, when they are finally asleep, you pull out the laptop and butter paper for a few hours of design or research. As Dean of the Faculty of Architecture, Building and Planning, I am inspired every day by students’ commitment to their studies. Their enthusiasm to challenge themselves and get the most out of their education is truly admirable. 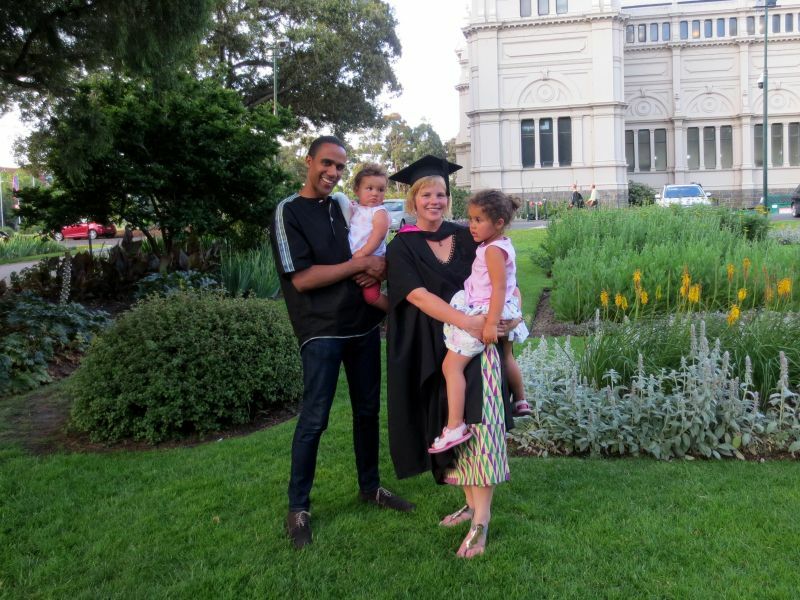 With your help, we can assist talented students like Kate to complete a University of Melbourne education. Please consider making a gift today to the Faculty of Architecture, Building and Planning Scholarships and help make a difference in the lives of many students. Please give a gift today by donating online or call us on +61 3 9035 4054. Rest assured that 100% of your donation will go towards helping students in need. P.S. Your gift can help ensure our students realise their dreams of completing a Melbourne education and pursue a rewarding career as the next generation of leaders. Please donate before 30 June to ensure your gift is tax deductible in the current financial year for Australian tax payers.